Total Copper content as 'Cu': 77.0 % m /m min. Cupric Oxide as 'CuO': 96.0 % m /m min. Iron as 'Fe': 500 ppm max. We offer premium grade copper oxide. Being a customer oriented organization, we are highly engaged in offering a wide range of Cupric Oxide. - Cuprous Oxide 0.1% max. 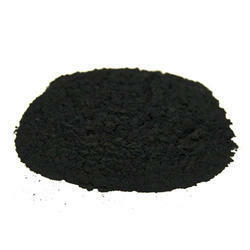 We offer Cupric Oxide Powder (Black). LDPE Lined HDPE Bags Packing: 25 kgs. We take pride in introducing high quality Copper Oxide Powder to the valued clients worldwide. The Copper Oxide Powder range is formulated with the best chemical composition and characterized with high purity. 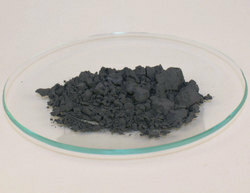 We offer the high-grade Copper Oxide Powder at affordable rates to valued clients.